This is a good getaway hole. An inviting tee shot played straight up a gentle slope guarded by three fairway bunkers. 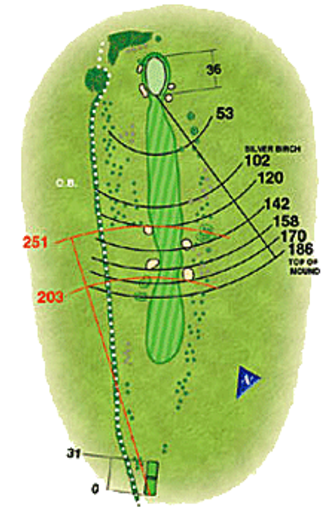 Be sure to leave your approach shot short of the pin for a good opening birdie chance.